The rise of chatbots brings a new way of communication between a human and software to the agenda – conversation. Unlike web or mobile graphic user interface, conversational UI is more about a straightforward and transparent dialog, rather than effective layouting of UI elements. In case of chatbot design, bot makers are no longer in charge of the appearance. They get a new task. 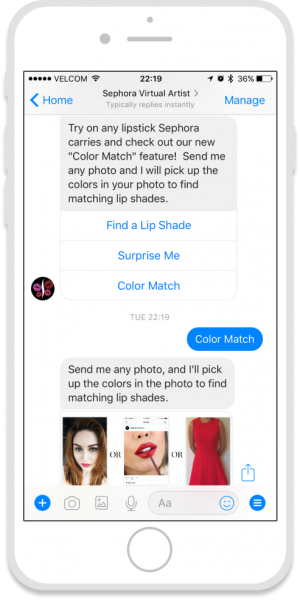 Today, chatbot designers are expected to define a logical, unambiguous flow of the conversation that helps users achieve their goals. In other words, they need to work out conversational UX. This is a new challenge we have to accept to stay on top of the latest technology. Here are 7 tips to address this challenge properly and build conversational UX that works. 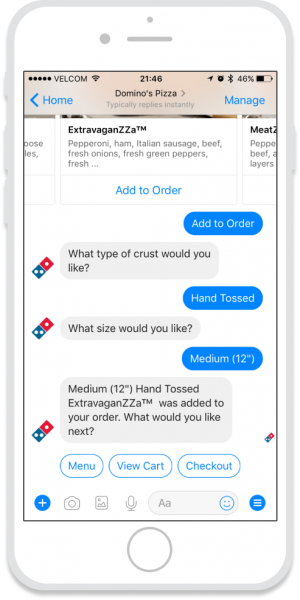 Surprisingly, interaction with an app or a website can be more intuitive than talking to a bot via natural language. Today, people get used to web and mobile design patterns easily. They quickly understand how to use new applications. In this case, you may expect a chatbot to do anything for you, from making a cup of coffee to complex maths calculations. Whereas a proper chatbot design should neither get you stacked nor drown in failed expectations. The most appropriate opening message for a chatbot is the message with greeting and quick help notes explaining how to interact with a bot. 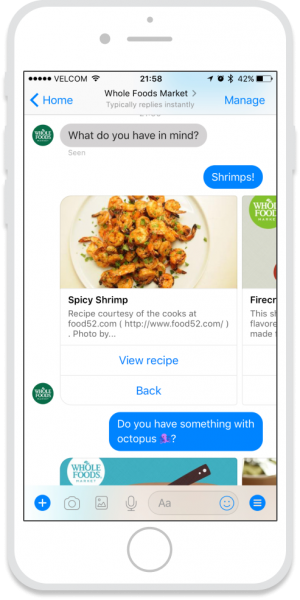 The major goal of conversational interface is to minimize user effort. To reach this goal, give good thought to the information your chatbot will collect from users, and how. If your bot is able to extract some information automatically, you should use this option. If there’s some information that is not necessary, but good to have, don’t overwhelm your user with too many questions. At the same time, don’t cut the flow by combining a couple of questions into one. Instead of minimizing user effort, you’ll make the message unclear. Always ask one question at a time. Moreover, encourage user to reply giving options or clues on what sort of answer you expect to get. 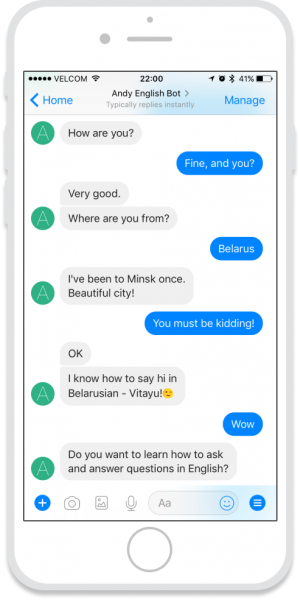 It will save user’s time and help to build an efficient dialog between a chatbot and a person. 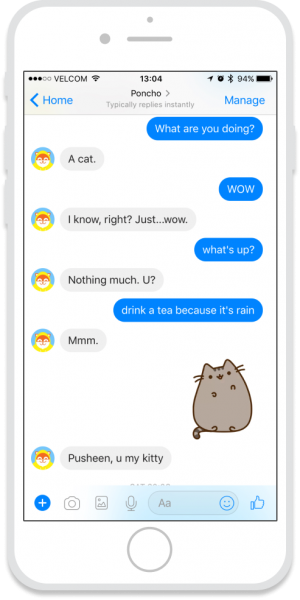 As the user understands the concept of this conversation and gets first results, you can gradually reveal new chatbot features and give advanced tips. Users want to be sure everything goes as expected. 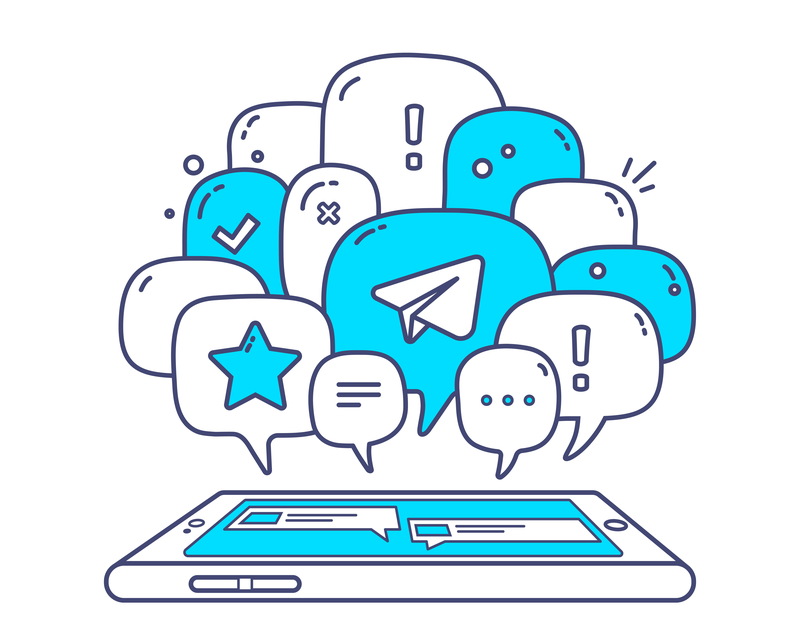 To confirm that chatbot understands and extracts the right information from user input, keep your user informed at every stage of the conversation. For example, make your bot repeat user answers to ensure that everything is correct, and only then move on to the next question. If user input can’t be validated for some reason, inform user about the problem. In this case, give an error message in plain language and suggest a solution. To make it simpler, tell user what kind of input the bot is supposed to receive. Chatbot doesn’t have visual interface, as such. Therefore, a chatbot designer transforms into a copywriter when developing a conversation flow. Define short and straightforward sentences. Write ingenious replies to unsupported topics. Avoid gender-specific pronouns and open-ended questions. Diversify the bot’s replies whenever it’s possible. Follow the natural flow of a conversation. Use the language that mirrors your brand’s tone of voice and takes into account your target audience expectations. Don’t switch communication styles. First of all, keep your bot’s functionality in mind. If you build a lawyer bot, the use of official language will be appropriate. However, if your bot is aimed at younger demographic, don’t be afraid to use slang and emojis. Take advantage of natural language processing and allow users to talk to the bot rather than click on buttons all the time. Most of messengers that allow to use chatbot technology support card interface. In fact, it’s always a good idea to add visual cards when explaining the difference between several things or products. Moreover, card interface allows not only to attach an image to any option, but also to arrange text information in a more convenient way. Generally, there are many cases where card interface is a great advantage. 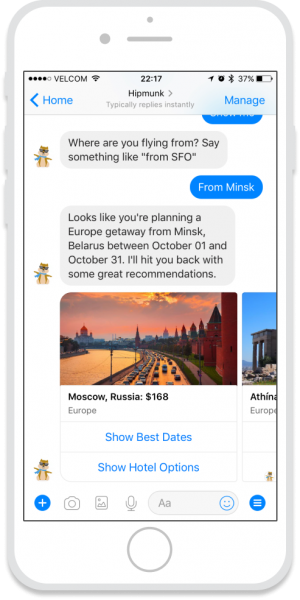 For example, when chatbot needs to show restaurant menu, product lists, locations, and even flight tickets. Chatbot’s personality isn’t something that would help users fulfill their needs. But it definitely is a killer feature. Personality is able to build emotional connection between a bot and a user. Moreover, it contributes to trust and positive relationship between customers and brands. 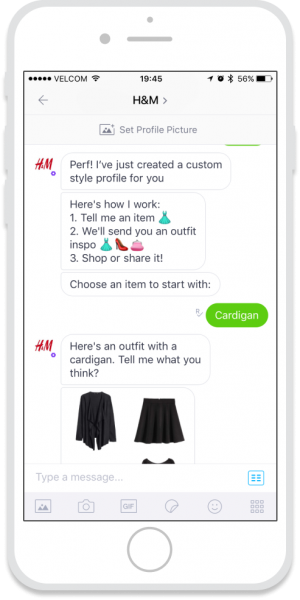 In other words, a chatbot with personality is the way to humanize a brand. However, it doesn’t mean that your bot needs to try imitating a human. Actually, it’s a very bad idea. People will notice anyway. On the contrary, chatbot’s personality is not about being human, it’s about being personal. Poncho is such a sweetie! Would you like to have custom conversational UX designed for your business? Let's talk about your project. Not sure? 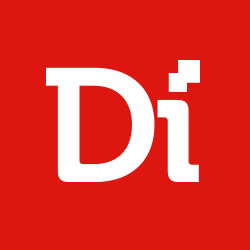 Check the chatbots Digiteum has already designed for Oxford Dictionaries and Pan Macmillan Publishing.